The Work Spot launches. Here we go! Welcome to our blog - the newsroom and inside scoop for The Work Spot in Montana. To start, thank you for checking us out. We are so excited and extremely thankful to have you here, seeing what we’re up to and learning more about us. Please bear with us as we get off the ground up and running. We promise to do our best to ramp up as quickly as possible. But, at the same time, we are 100% dedicated to growing this Montana resource organically, authentically and smartly. Over the past few months, we have received many emails from people like you who are excited about The Work Spot's launch...people living outside of Montana who are looking to move here and from others already living here who are eager to learn about new career opportunities and new and established companies growing in their home state. We hope to grow The Work Spot into a centralized hub, starting with a comprehensive list of top-notch jobs that allow professionals to live and work in Montana. Each job opportunity posted to The Work Spot by an employer or recruiter is carefully reviewed with select screening criteria in mind (e.g. minimum pay requirement, post secondary education or specific certification requirement, benefits beyond paid time off, etc.) before approved and published to the website. We are also a platform for companies operating and growing in Montana to showcase what they're about via a Branded Company Page so they can more easily be discovered, highlighting culture and perks. 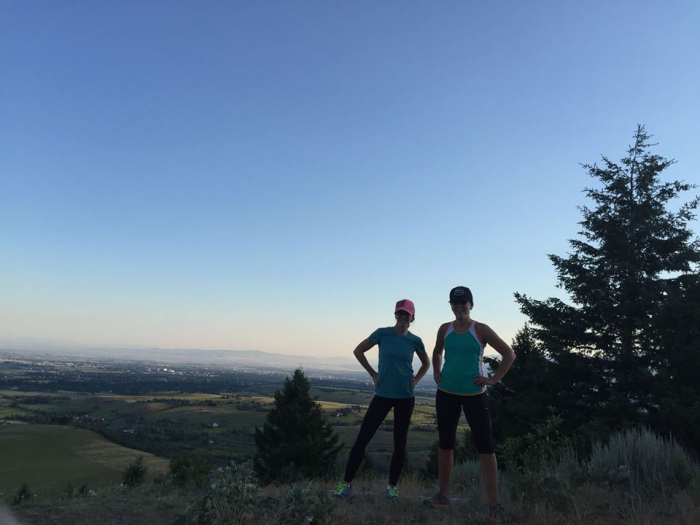 With our blog, we (Kara and Kaycee, the founders of The Work Spot) want to do more. Keeping a beat on and sharing with all of you the ever-changing business and industry landscape of Montana is important to us. Introduce you to us, who we are, possibly how we’ve navigated our own careers in Montana (and elsewhere). Share information with you about the professional opportunities available to you in the great state of Montana - whether you already live here, are looking to move here or hoping to get back home. Introduce you to and highlight the diverse and impressive businesses within our communities - and there are a lot of awesome, growing companies flying under the radar! Share business and industry news impacting our state - in a quick and easily digestible way. We will keep posts short, sweet, interesting, diverse, and multi-sided. We care deeply about talent, recruiters, employers and industry partnerships in Montana and commit to sharing that passion in our posts. Be aware, the views expressed in this content represent only our individual perspectives. Thank you so much for taking the time to learn more about us...for reading, visiting, commenting, contributing and sharing. We encourage you to visit and explore The Work Spot website further to learn more about us, what we can offer and who we are. And please share us with your friends and family! We’re so excited to have you here and to grow this resource together.